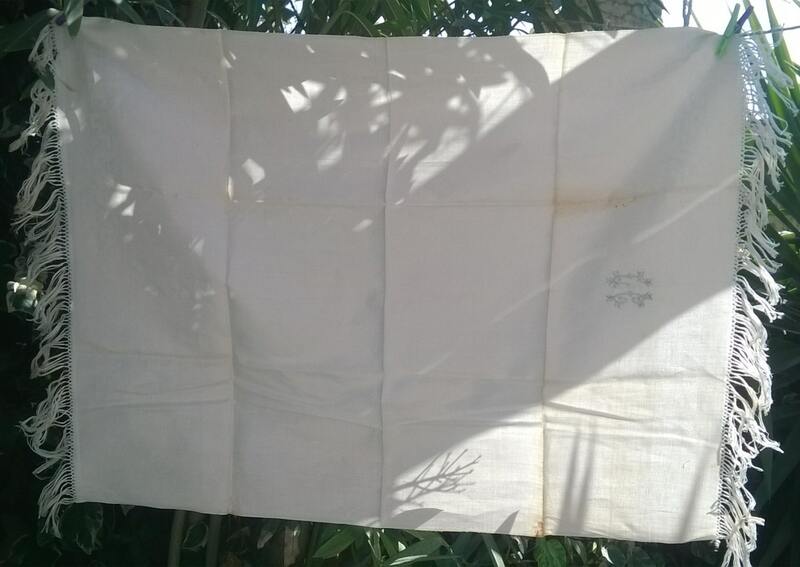 RARE gorgeous Antique 19th century white silk Damask Fringed Towel. 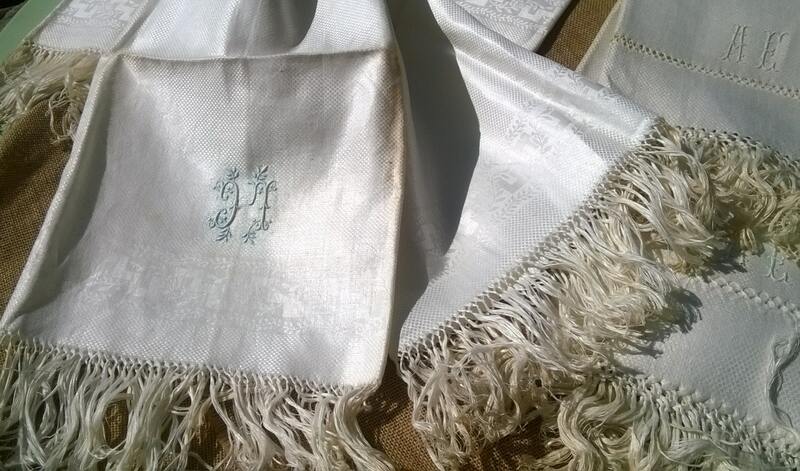 French silk and linen Bath towel. Unused and unwashed linen in its original condition. 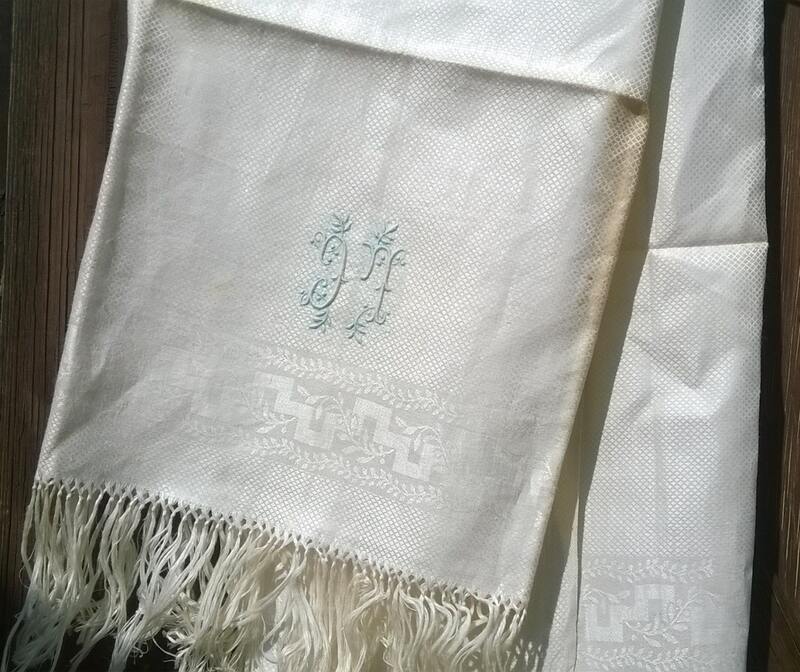 Hand embroidered Bourdon monogram "LC". 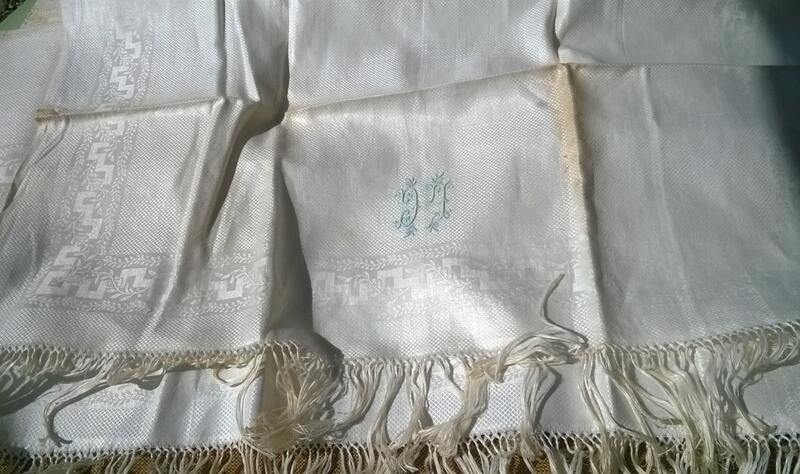 Good vintage condition with starch spots need to be washed . 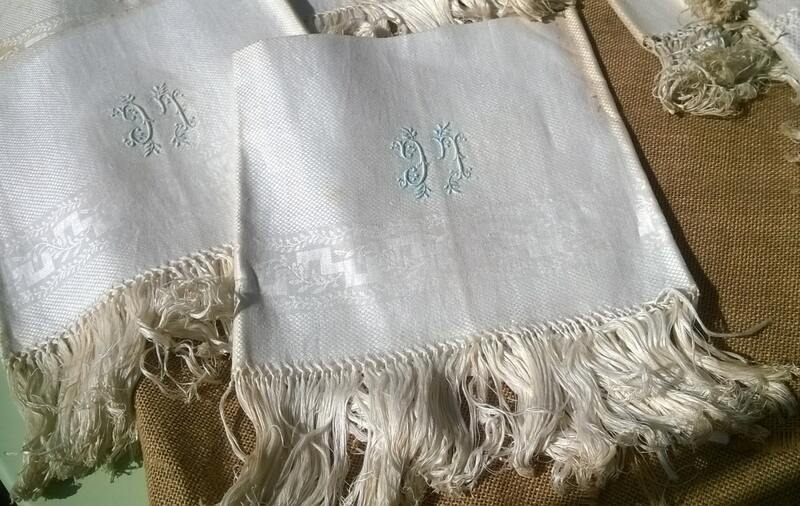 RARE Beautiful Antique French fringed towel !